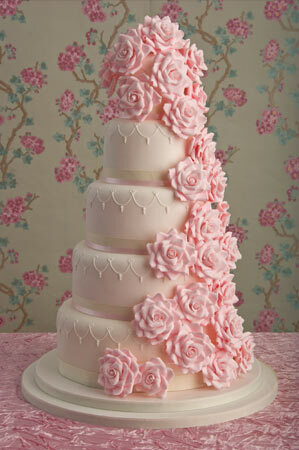 Gorgeous three tier round wedding cake with multi hued sugar roses cascading down the three tiers. 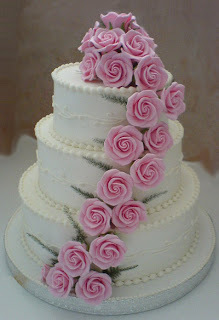 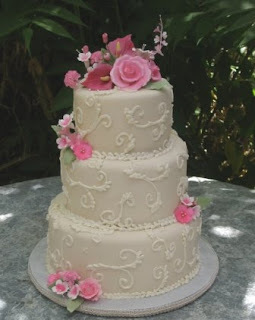 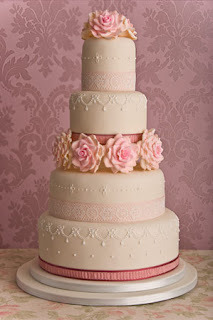 Elegant round five tier white wedding cake with pale pink sugar roses. 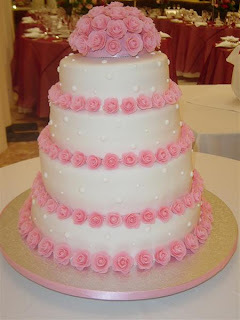 Classic three tier white wedding cake with light pink sugar roses cascading down the length of the cake. Beautiful four tier white round wedding cake with pink sugar roses toppers and a band of sugar roses splitting the cake in two. Three tier white wedding cake with gorgeous pink roses sugar calla lilies and other small sugar flowers. 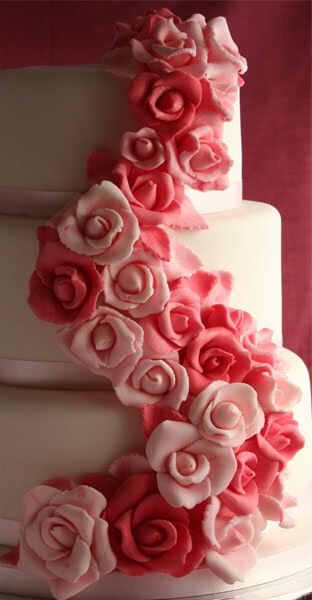 Wide four tier white wedding cake with edible pink sugar roses.